I didn’t quite get this one done within the week, but it’s close. My 5 year old is very much into rainbows right now so that’s the inspiration for this top and she’s a fan of this one. 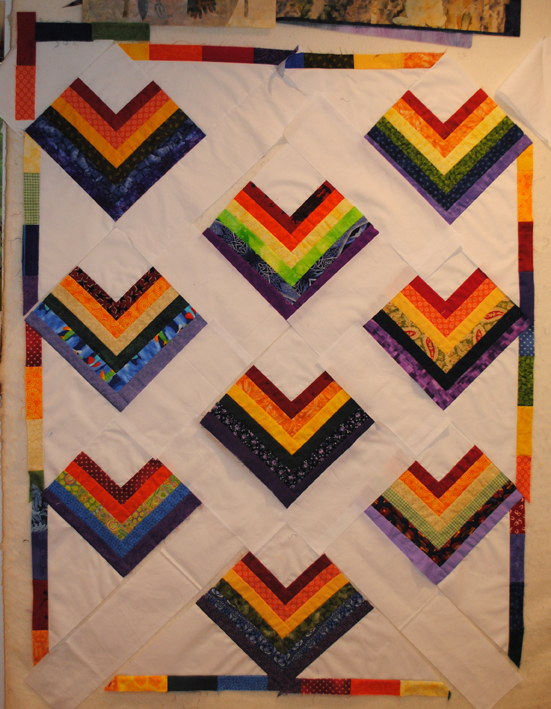 “I love your new quilt,” she said the other night as it started to come together on the design wall. Update October 2018 – The quilt is now finished and is available for sale in the Shop. Next PostSummer of Scraps – Week 2 Finally Complete!